Grab EZ-bar using pronated grip (palms facing forward). 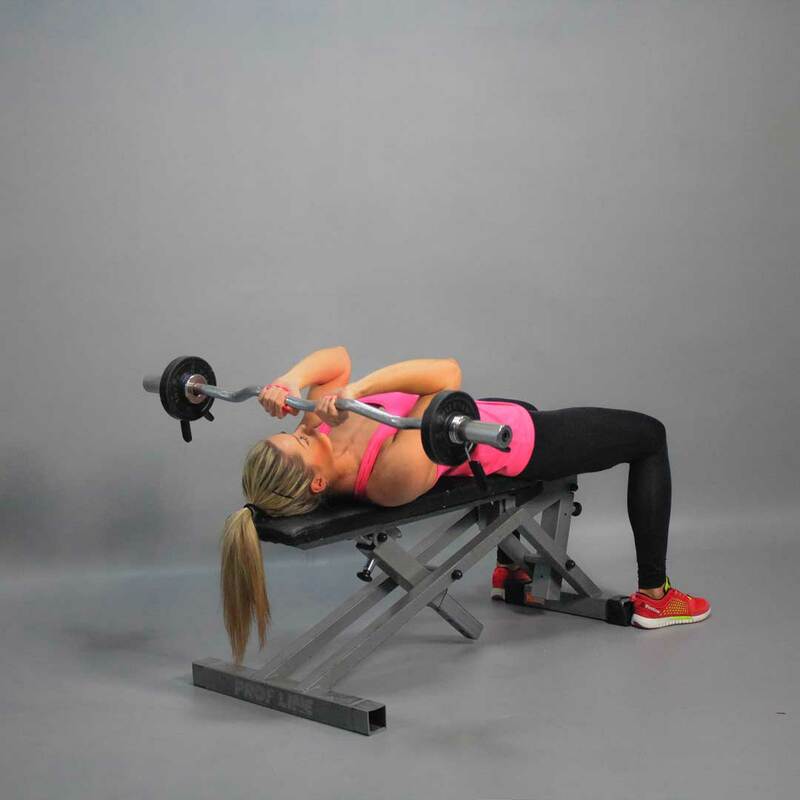 Lie on a flat bench so that your head is near to the edge. Extend your arms in front of you, lifting a barbell above your chest. Arms should be perpendicular to the floor. This will be your starting position. Inhaling, lower the barbell by bending your elbows while keeping the arms (from shoulders to elbows) stationary. Keep moving until the barbell slightly touches your forehead. Exhaling, raise the weight back up to the starting position. At the end of the movement contract your triceps and make a pause. Your arm (from shoulder to elbow and the elbow itself) should remain stationary. Only the forearms should move.